I’m taking the Yankees over the Dodgers. Both teams have proven this offseason that they want to win now. The Yankees unloaded after missing the playoffs by opening their checkbook and spending close to $500 million. The additions of Jacoby Ellsbury, Carlos Beltran, Brian McCann, and Masahiro Tanaka immediately make the Yankees a legitimate threat. But don’t think they’re the only team spending the big bucks. The Dodgers passed the Yankees for the MLB’s highest payroll, ending the Yankees 15 year streak, by spending $235 million this season. 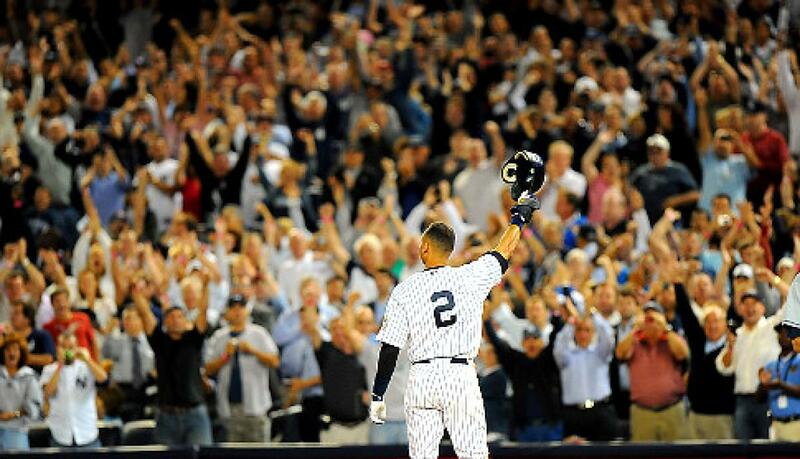 All and all I’d say Derek Jeter better start spreading the news that his final season will end with a ticker tape parade down the Canyon of Heroes. Tigers over Cardinals. Lots of solid pitching between the two of them. I think Justin Verlander comes back big this year and comes out as the Tigers’ #1 with Rick Porcello having an awesome year too finishing ahead of Max Scherzer in the pitching rotation. The Cards are going to need Yadier Molina to manage the pitching staff well, but they just don’t have the overall offensive firepower that Detroit does with the addition of Ian Kinsler. Watch out for the Rangers though if they can have someone aside from Yu Darvish step up in their rotation. Red Sox over Dodgers. Only a little bit of bias plays into this one…Both are great teams with amazing young talent. With the recent resurgence of John Lackey, John Lester, a healthy Clay Buchholz, and a young and very talented Xander Bogaerts, the Red Sox will be the 2014 World Series Champions. With the leadership of David Ortiz, Dustin Pedroia, and Mike Napoli, look for the Sox to make a push for the repeat. Rays vs Dodgers. There’s no explanation for why the Rays are good every year, but the undeniable fact is that they are. However nobody is on the Dodgers level in terms of overall talent. Despite multiple holes including infield depth and major league ready pitchers in the minors, their superstar talent everywhere else will cover that up. Dodgers over Tigers. The Dodgers are armed with a wealth of talent and the largest payroll in history. Anything less than a championship would be a disappointment. Nationals vs Tigers. Nationals win. The Nationals have the best pitching rotation in baseball with the front four being Stephen Strasburg, Gio Gonzalez, Jordan Zimmermann, and Doug Fister. Pitching wins games. Although the Tigers have a great all around team, the team is full of veterans. However, they are definitely a contender for the World Series because of their many stars such as Justin Verlander, Miguel Cabrera, Ian Kinsler, and Max Scherzer. Both teams have unbelievable pitching and hitting, but I have the Nationals taking home the trophy in this one. We hope everyone enjoys Opening Day and stays locked in to Dabuzzza here and on our twitter page this MLB season. We know we will. MLB Hot Stove Roundup: What’s Happened Since the Fielder-Kinsler Trade? The Royals sign LHP Jason Vargas. Though many believe this was an overpay (as we will see with other signings later), this was a good move for the Royals. It adds depth to a rotation that already has James Shields and Jeremy Guthrie, and it fills the void of the probably-departing Ervin Santana. He is a solid three-or-four-starter who will give the Royals a veteran who can give innings – something that the Royals find pretty valuable. I think this will set the tone for other KC offseason moves that will allow them to be a real threat for a Wild Card spot this year. The Mets sign OF Chris Young. See article here. The Cardinals trade 3B David Freese to the Angels for OF Peter Bourjos. These two guys are both coming off tough years, but these two guys have both showed promise in the past. Also, it fills holes for both teams. The Angels desperately needed a third baseman, after getting the worst third base production in the MLB. However, David Freese was only a league average hitter last year, so it wasn’t a huge improvement. With Peter Bourjos, he brings extra depth to centerfield already occupied by Jon Jay (I assume they will platoon, or maybe Bourjos will get the larger share). They can both afford to part ways with their old players; the Angels have JB Shuck to use in leftfield, and the Cardinals now have room for top prospect Kolten Wong to start at second base (Matt Carpenter will move to third base). This is a close call, but I give the edge to the Cardinals in this trade. 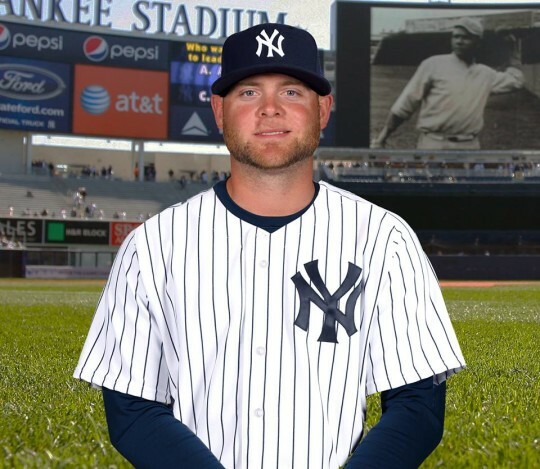 The Yankees sign C Brian McCann. By signing the clear-cut best catcher on the free agent market (and one of the top catchers in the league in general), this was easily the biggest move of the offseason for the Yankees (with no disrespect to the trading of Chris Stewart). He is one of the best offensive catchers in the league, and he has been said to be a good guy to have behind the plate. However, his production, albeit potentially due to injury, has faltered over the past two seasons. Though he is definitely a top catcher in the league, it may be because of the weakness of the position as a whole. He is being paid this much because he is one of the best at what he does, but I don’t think he’s worth that money. Also consider that he will probably be a DH by the end of this deal, which decreases his value even more. Short-term, this deal will probably work out for the Yankees. In two years, I believe it will be a regret. The Cardinals sign SS Jhonny Peralta. Aside from the controversy due to the PED usage, it’s hard to deny the great deal the Cardinals got. Peralta is a well above average offensive shortstop (he has shown that throughout his career, even before his suspension-filled 2013 season) and arguably the best shortstop on the market (close with Stephen Drew). It also fills a gaping hole for the Cardinals, as thy received the worst production from their shortstops in the MLB in 2013 (primarily Pete Kozma). This was clearly a good signing, but of course, there’s the controversy. Though you may not like the rule of how short the suspension is, you have to deal with it. He was told to sit out for 50 games and he did. He served his punishment, and that should be the end of it. Anyway, why should the Cardinals be criticized for the signing? It’s not like they’re condoning his decision to take PEDs. I get that people are still peeved about this, but in terms of this signing, it shouldn’t be seen as a factor of how good it truly was. The Dodgers sign RHP Dan Haren. A $10M deal for a pitcher who hasn’t had even a league average season for a pitcher since 2011? I get it; he’ll probably be the fourth starter for the Dodgers, and they have all the money in the world to spend. But that doesn’t mean they should just throw it away. They should’ve been more resourceful with that money. There are better pitchers on the market, and they’re probably going to make less (i.e. Bartolo Colon, Paul Maholm, and others on the trade market). Not too good of a signing in my opinion, but still, there’s no such thing as a bad one-year deal. The Twins sign RHPs Ricky Nolasco and Phil Hughes. This was certainly a forced issue. Ricky Nolasco – okay, solid pitcher, good fit for the Twins in that ballpark, but for over $11M AAV (average annual value)? Phil Hughes – there is no justification in this signing. He has never posted an ERA under 4 in a season as a full-time starter, and he’s making $8M a year? I get it – the Twins are desperate for pitcher, coming off a year where their starting staff collected a cumulative ERA over 5, easily the worth in the MLB. But the last few times they’ve tried to get pitchers (Vance Worley and Mike Pelfrey, namely), they’ve been disasters. I understand it’s a huge park in Minnesota, but then why are all of their pitchers doing so poorly? 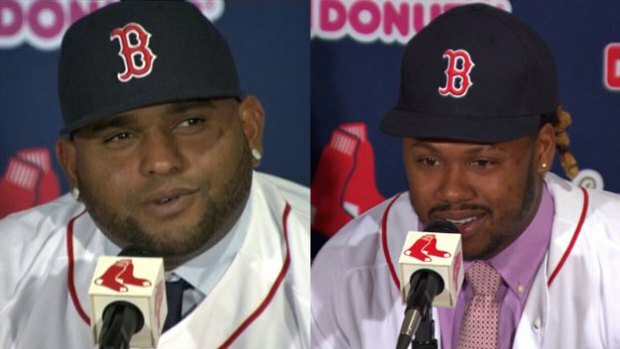 Finally, signing two guys to big contracts when they aren’t anywhere close to competing is far beyond me. These signings make no sense whatsoever. The Athletics sign LHP Scott Kazmir. Nice comeback story for Kazmir last year with Cleveland, after pitching the previous season with the Sugarland Skeeters of the Independent League. His ERA hovered around 4 last year, which is respectable, and he posted nice strikeout numbers for a starter. But can he do it again? The A’s surely think so, considering the $22M contract they gave him. This was a risky signing, but a good risk in my opinion. The Tigers trade RHP Doug Fister to the Nationals. There were rumors that it would be Max Scherzer being traded by Detroit, but they chose Fister instead. Fister was arguably the best fourth starter in the MLB (pitching behind Scherzer, the Cy Young award winner; Justin Verlander, a former Cy Young award winner and MVP, and Anibal Sanchez, the ERA champion in the AL). Since coming over to the Tigers, Fister has shown much consistency, maintaining a very respectable ERA of about 3.50 in each of his years there. This will prove to be a major upgrade to an already great Nationals rotation, clearly. The Tigers will not reap the benefits of this trade immediately, as the three players they got back in return (Steve Lombardozzi, Ian Krol, and Robbie Ray) are all fairly young. At least for now, it clears a space for Drew Smyly, and they still have minor league pitching depth; so this wasn’t as big of a loss for the Tigers as it is a gain for the Nats. Other worth-mentioning notes. The Royals extend GM Dayton Moore for two years. Ted Lilly, the 15-year veteran of 7 MLB teams, has retired. The Mets continue to show interest in Bronson Arroyo and Curtis Granderson. And Finally, the Yankees and Robinson Cano remain $80M apart in contract negotiations.